In a veiled attack on interim Chief Minister O Panneerselvam, All India Anna Dravida Munnetra Kazhagam (AIADMK) general secretary VK Sasikala Natarajan said no evil intentions can hurt her till the time she has her supporters by her side. "Amma has given me 1.5 crore party brothers and sisters. When they are with me, the sinister intentions of many will not harm me," she said. 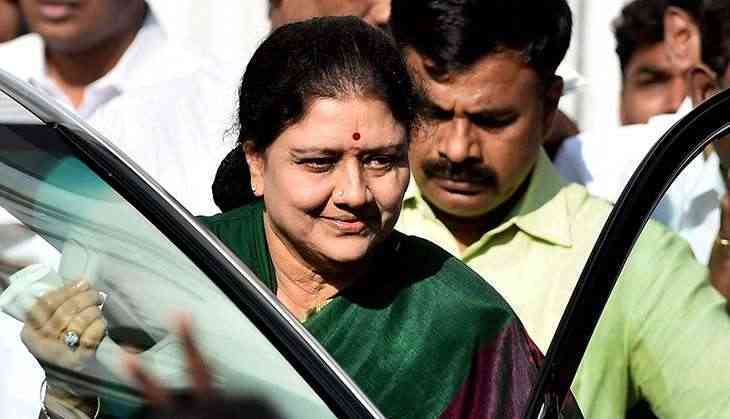 Resting faith in her supporters, Sasikala said late J Jayalalithaa 'Amma' is only showing them the betrayers of their party, adding that those trying to separate the party will only witness defeat. "Amma is showing us betrayers of our party. People who think they can separate our party that has 1.5 crore people will only face defeat," said Sasikala. Remembering the former Tamil Nadu Chief Minister, Sasikala said the constant hardwork of made AIADMK third largest party. "Amma is confident that I'll look after AIADMK; Relentless work by Amma has made AIADMK third largest party. Amma is with us now," she said. Later in the day, Sasikala will be going to the Golden Bay Resort to meet the MLAs who are lodged there. Earlier in the day, Sasikala wrote to Tamil Nadu Governor Ch Vidyasagar Rao seeking an appointment to prove majority. "I would like to seek an appointment with you by today along with all MLAs who extended their support to me regarding further course of action to form the government," the letter read.